For the love of yarn. Playing with Nightshades. I do love yarn. Funny how a material can shape an art practice so strongly. 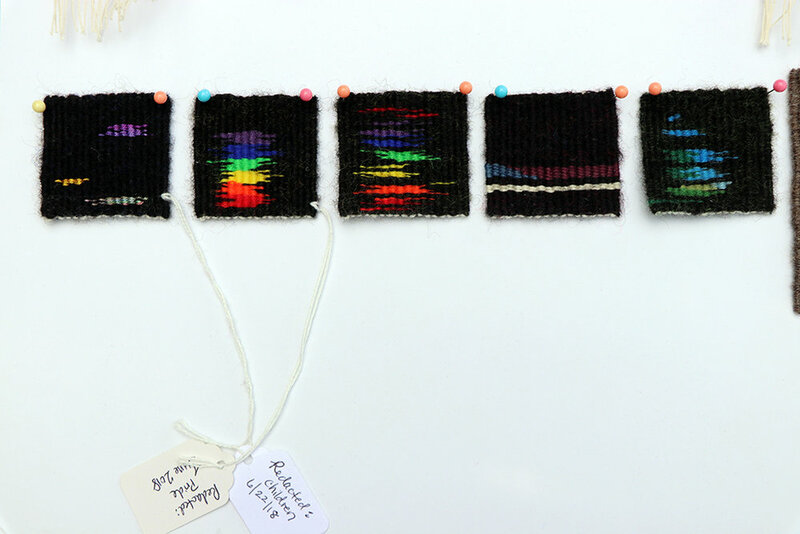 I can imagine someone else loving paint or graphite or stone or wood, but for me it is yarn. Nightshades yarn by Harrisville Designs. Notably difficult to photograph! 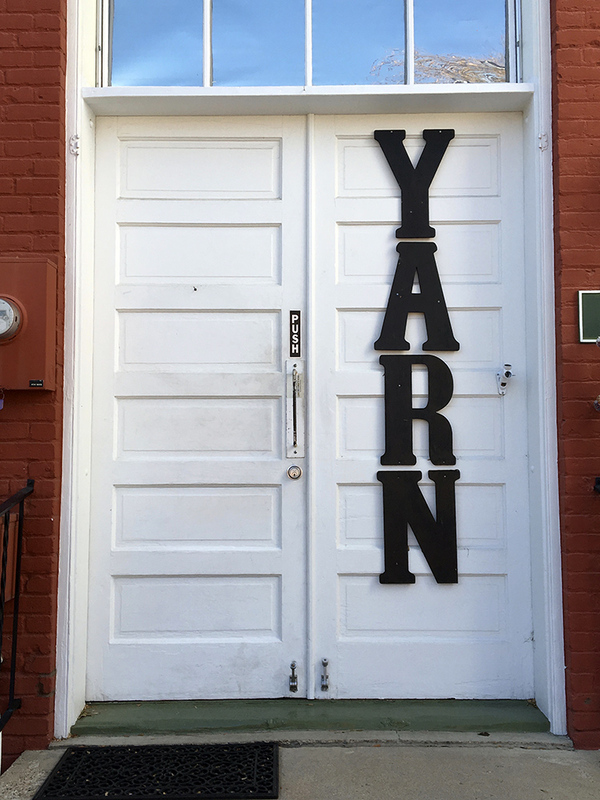 I can scarcely resist a yarn shop even though most of them don’t have any weaving yarn (Shuttles in Boulder is a notable exception and maybe if you’re lucky your town happens to have a weaving shop also). 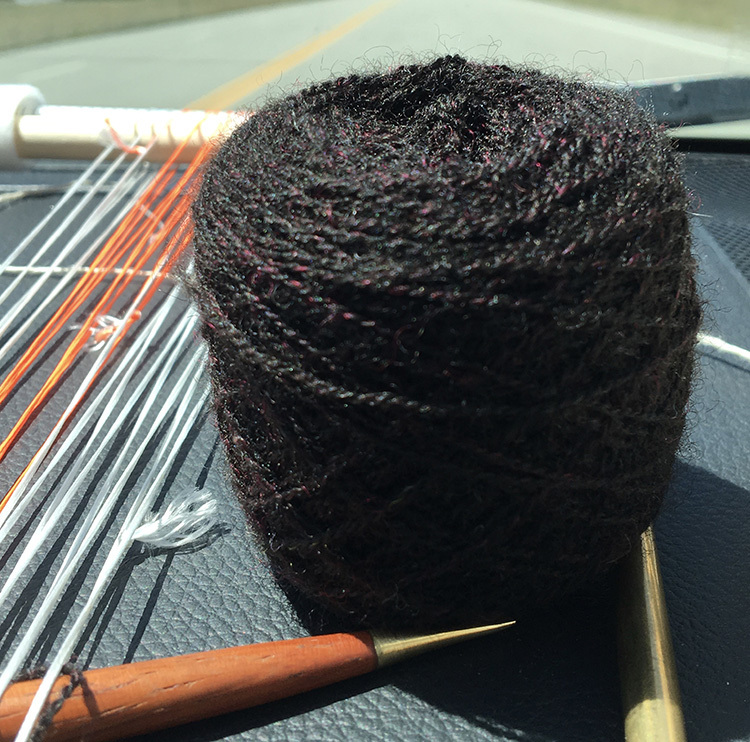 I’ve written before about what makes a good tapestry yarn and my opinions about that haven’t changed. However, sometimes I see a yarn that I desperately want to work for tapestry weaving. And even though I know in my heart that it will not make a good tapestry yarn, my eternal optimism puts some in my shopping basket. Such a yarn presented itself to me last May during a visit to Harrisville Designs in Harrisville, New Hampshire. I stopped to say hello to the people who make the tapestry yarn I use (Harrisville Koehler Singles) and to see the woodshop where my favorite loom in the world was made: the Harrisville Rug Loom. 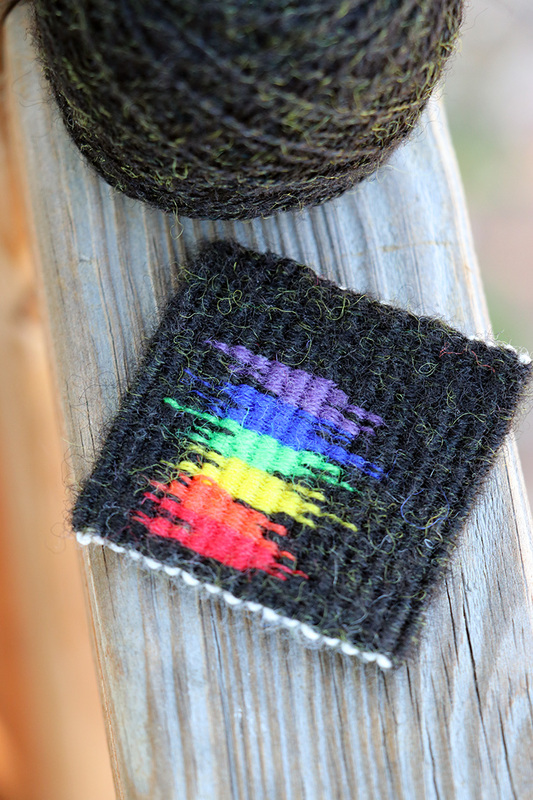 While there, creative director Rachel Snack showed me a new yarn they were almost ready to sell. The yarn is called Nightshades and I was immediately smitten. I thought the idea was brilliant. I couldn’t wait to try it and later in the summer, Rachel and Nick Colony the designer of this brilliance, let me buy a few advanced skeins. I loved the color idea. 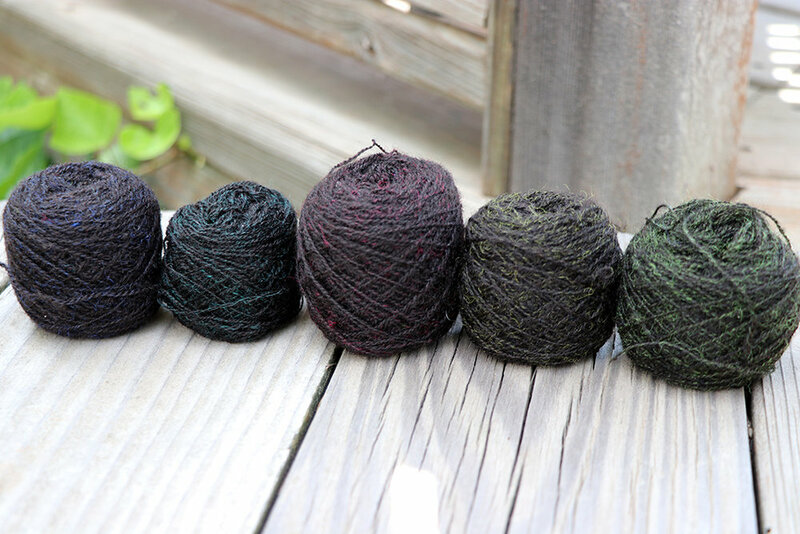 It is a mostly black yarn but each color is mixed with a small amount of another color fleece. I loved the idea so much that I couldn’t wait to for those first skeins to arrive. 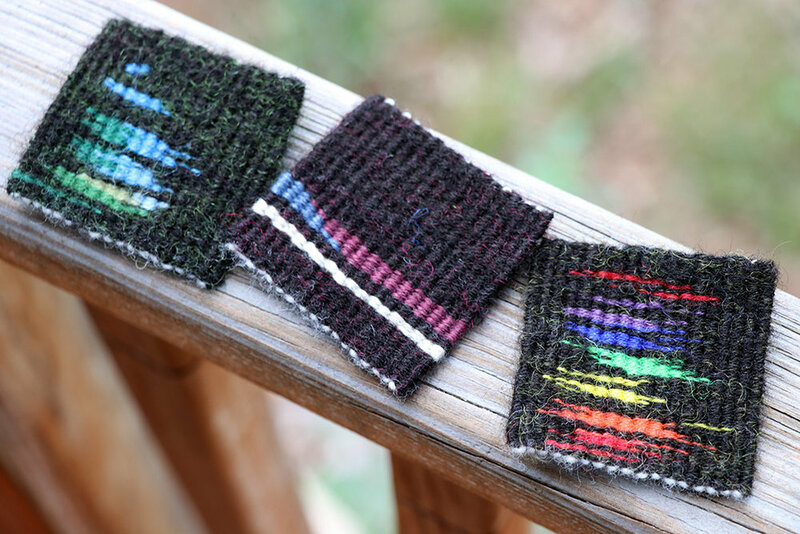 I went home and dyed some fleece black, carded some brightly colored fleece into it, and spun it into small amounts of tapestry yarn. 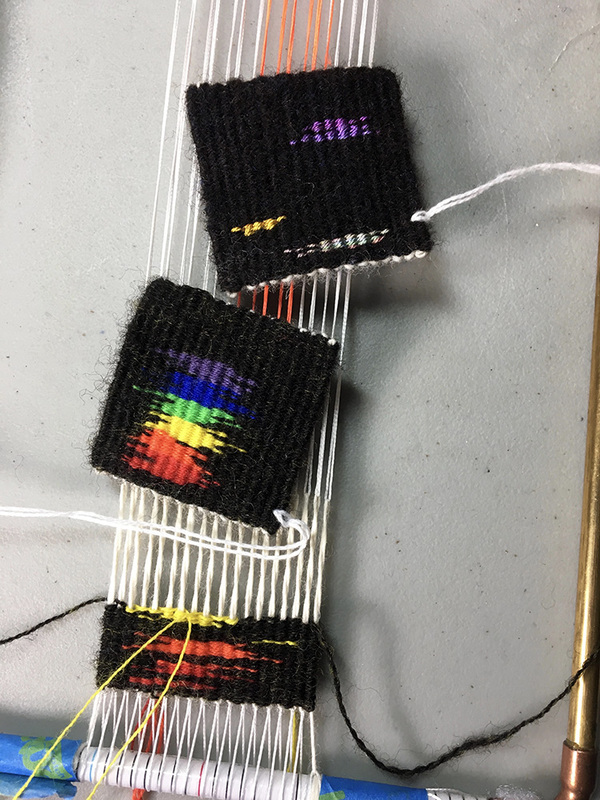 This yarn I tested in the Redacted tapestry diary pieces (see the photo gallery at the end of the post). 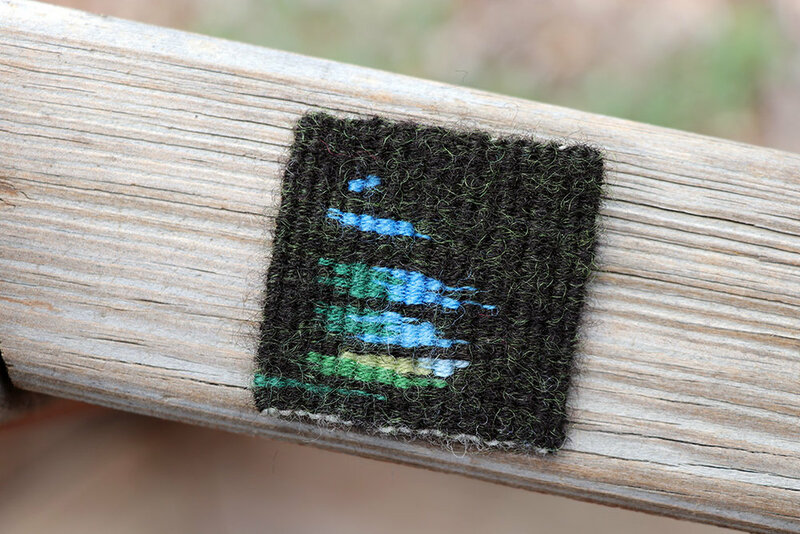 Rebecca Mezoff, handspun, hand-dyed tapestry yarn. With thanks to Nick Colony, designer of Nightshades, for the idea. Eventually Nightshades did arrive and I was able to put it to the tapestry test. My gut feeling that this DK weight 3-ply knitting yarn would not be a good fit for tapestry weaving was true. In the process of experimenting, I wove this piece. 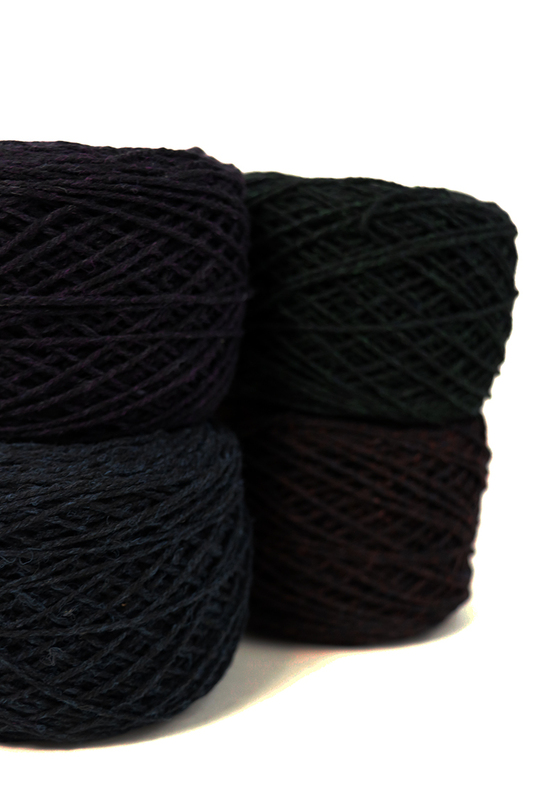 In the detail below you can see the effect of the Nightshades yarn. It is largely black but has some purple carded into it. Nightshades is something I can’t wait to knit into a cardigan, but it is far too soft for easy weaving in tapestry. In A little bit of magic, I used it with white Harrisville Highland. It was a struggle to keep the edges straight because like most knitting yarns, Nightshades is super soft and bouncy. 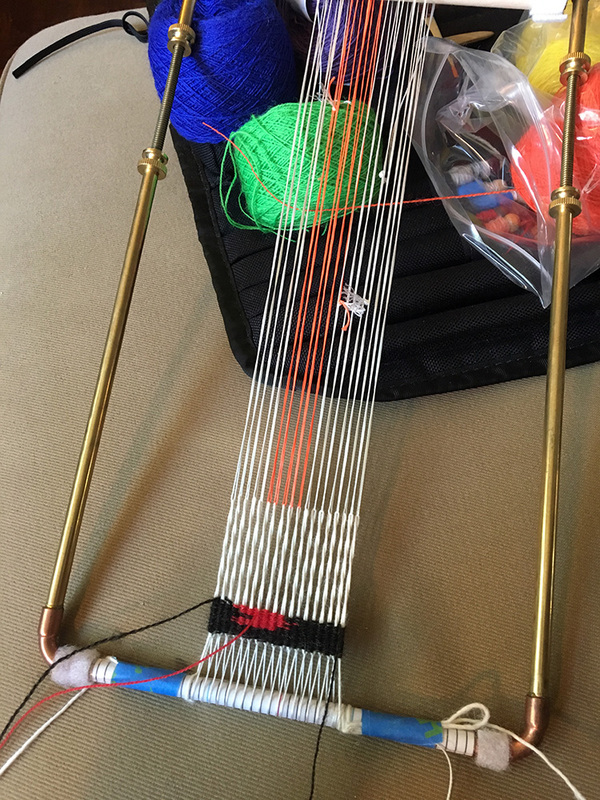 It wants to do its own thing which makes it difficult to get your weft tension precise. It is also slightly thinner than Highland. 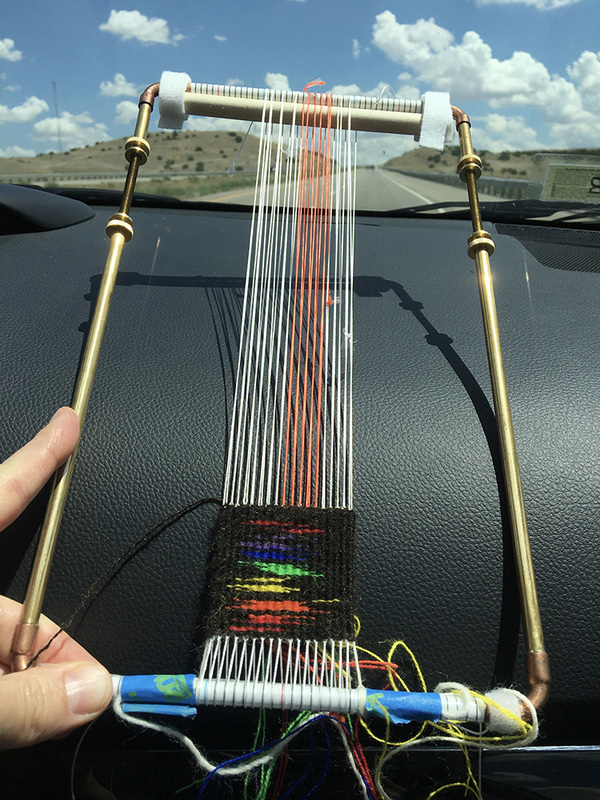 I tried it again while also experimenting with this little Purl and Loop loom. I had even more difficulty weaving this because the whole thing was done with Nightshades and I didn’t have the sturdy Highland yarn to balance out the bouncy Nightshades. Nightshades yarn woven on a Purl and Loop bracelet loom. This combination was significantly difficult to handle. It may look fairly good, but it wasn’t easy! Note the three different colors of Nightshades used here. I do enjoy playing with new looms and tools. Nightshades is a beautiful yarn and it gave me the incentive to make a similar yarn of my own that is suitable for tapestry weaving. A Little Bit of Magic has been sold, but I’ll be trying another piece in this vein with my own handspun. In the gallery below, click on the thumbnails to enlarge, hover for caption, use arrows to scroll. If you get the blog via email you’ll get the images in one long string without captions. You can find the captions by going to the blog online HERE. What is your favorite yarn store find? Tell us in the comments! I’m good at finding the back doors into things. This is the back door to a treasure chest of yarn. Longmont Yarn Shoppe.